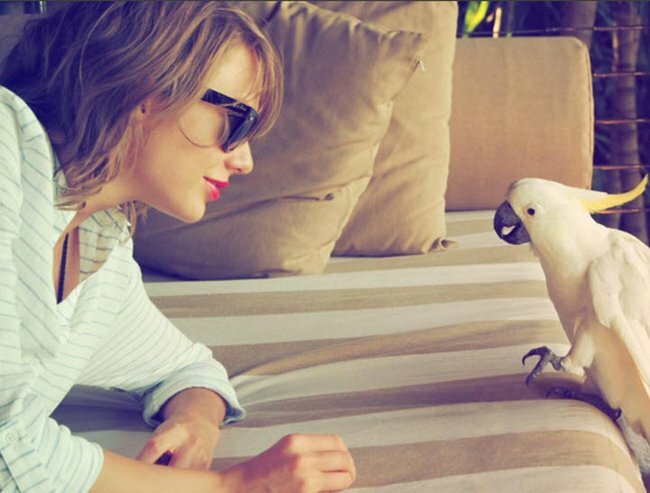 Taylor Swift is paying for 125 of her crew to live it up on Hamilton Island. This is best-boss behaviour and should be admired and exalted as the gold standard for bosses everywhere. It’s been an epic year for Taylor Swift and her team. The 1989 tour has spanned continents and has been in progress for about six months now. It must be exhausting, especially for the 125 crew members — band, dancers, behind-the-scenes types, roadies — who don’t travel everywhere by private jet. Swift posted a picture of herself and her team to Instagram, explaining how worthy of an excellent holiday her crew is. 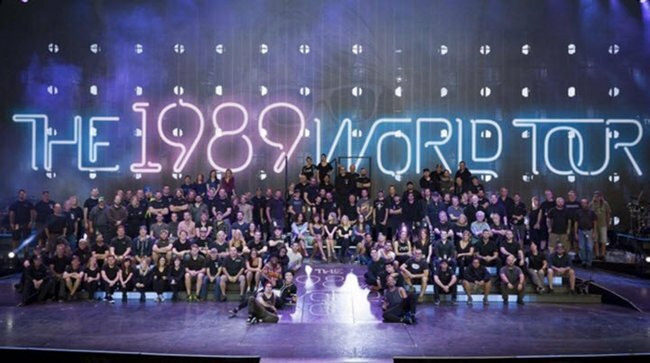 The 1989 world tour crew. Image via Instagram. “So stoked to be able to take my band and crew on a vacation at the end of a long and wonderful tour. For all their hard work this year, they really deserve it. Thank you to Hamilton Island for taking such great care of 125 of the people who work tirelessly to make sure the 1989 World Tour stage gets built, the lights are on, the costumes are made, the guitars are tuned, and the show goes on,” she wrote. Sunrise correspondent Michelle Tapper said she’d been asked to leave Hamilton Island by Swift’s security team. “There is a complete media ban on the island and Taylor Swift has asked for privacy,” Tapper reported this important news lurking from a boat offshore. Cry me a river, Tapper! Hamilton Island can confirm that representatives of a number of media outlets were asked to return to the mainland after arriving at the Island yesterday. It is within the rights ofHamilton Island management to take this action, and the decision to request that media return was Hamilton Island’s alone. In this case it was clear the intention of the media outlets concerned was solely to disturb the privacy of a number ofHamilton Island guests without their knowledge or consent. The safety and privacy of our guests is of paramount importance to Hamilton Island and we request people in the area to be mindful of this. Hamilton Island retain the right to request visitors leave the island if their intention is to impinge on our guests’ holiday experience. Taylor Swift is doing a really nice thing for her staff after a gruelling tour. Do we really need you reporting that she ate pancakes for breakfast and enjoys a crisp sauvignon blanc with her dinner or that her crew members engaged in an energetic game of beach volleyball? 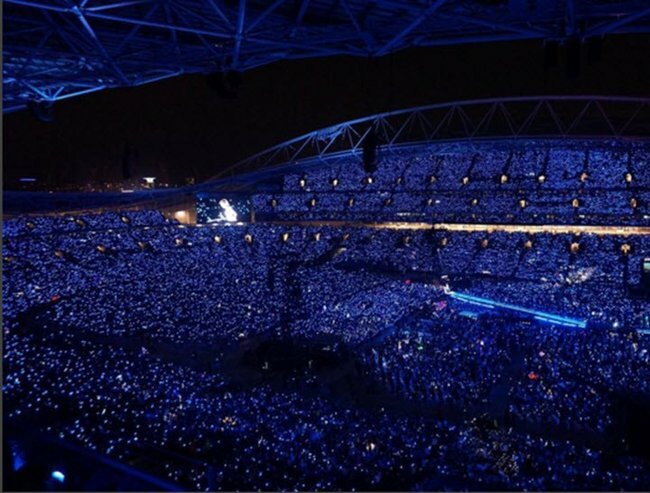 The crowd in Sydney to see Taylor Swift was 72,000. Image via Instagram. Swift is back performing her last show of the year in Melbourne on December 12, after which she’ll celebrate her 26th birthday. The Australian media is feverishly reporting that her “squad” of supermodel friends will descend on Hamilton Island to celebrate with their dear leader. Swift has indicated this will not be the case.